The average Canadian charity has revenue of under $100,000 per year. Our firm believes that irrespective of size and budget, legal compliance and ethical conduct on the part of charities is important to maintaining the public’s trusts in the charitable sector. Public trust is vital on many levels for charities including making it easier for charities to fundraise, having the government provide more grants and contributions to the sector, and giving charities more credibility in dealing with the many challenges of trying to make this world a better place. Globalphilanthropy.ca(TM) was our firm’s response and it provides accessible, plain language and free legal, ethical and practical information to a large number of Canadian individuals and charities to assist them to understand their charity’s obligations. Increasingly charities are not just small local volunteer endeavours but are larger organizations that are national and international in scope, and have professional staff and obligations to a myriad number of stakeholders. Increasingly, Canadian charities are also trying to tackle complicated global issues and the legal and ethical challenges are substantial. Charities can retain our law firm to assist with compliance and other issues. We pride ourselves on providing high quality advice that is practical and affordable and that integrates ethical issues with the legal advice. All too often in the charity area if there is a binding legal rule on a particular point, and often there is not, it is often a rule that was developed 50-100 years ago and clearly the legal answer is not enough by itself for charities that have strong values. In fact, solely relying on legal opinions may result in a charity acting in a highly unethical manner. We work with clients - everyone from very small to very large charities, to help them understand both their legal and ethical responsibilities and to raise the level and standards of practice. Donors, the media, and the public have expectations of charities that not based solely on the charity meeting their minimum legal requirements. Globalphilanthropy.ca has general information of use to Canadian charities and non-profits but also tries to provide detailed information on the obligations of Canadian charities operating outside of Canada, for example in the areas of international development, humanitarian assistance, and education. This flows from the philosophy of our firm that Canada is a country that has done very well, Canadians are a generous people, that Canadian dollars can accomplish a lot outside of Canada and that we should assist others outside of Canada to better themselves. As well, GlobalPhilanthropy.ca also provides useful information to foreign (non-Canadian) charities interested in fundraising in Canada, especially those involved with international development and humanitarian assistance activities outside of Canada. The information on this website is provided free and subject to our Disclaimer, Copyright and Privacy Notice. The information on this website will be useful to many that cannot reasonably afford to retain legal advisors, legal advisors and our clients. Thank you to many of our charity clients who have encouraged our work and have indirectly subsidized our ability to provide this information. If you require legal advice with respect to non-profit and charities and wish to retain our law firm please contact Mark Blumberg at mark@blumbergs.ca or 416.361.1982 and we will send you a copy of our billing policy which includes hourly rates and charges for services. Blumberg Segal LLP is a nine lawyer firm based in downtown Toronto and 5 of those lawyers focus almost exclusively on non-profit and charity law. It was originally set up by Henry Blumberg in 1984 and he is the managing partner. 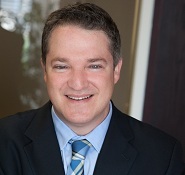 Mark Blumberg is a partner at the law firm of Blumberg Segal LLP in Toronto and works almost exclusively in the areas of non-profit and charity law. He has a B.A. in Political Science from the University of Toronto, an LLB from the University of British Columbia and a LLM from Osgoode Hall Law School in Tax Law. Mark is on the Executive of the Canadian Bar Association (CBA) National Charities and Not-for-Profit Law Section and is also on the Executive of the Ontario Bar Association Charity and Non-profit law section. Mark is also the editor of www.canadiancharitylaw.ca - a Canadian charity law website and www.globalphilanthropy.ca - a Canadian website dedicated to legal and ethical issues for Canadian charities operating abroad. For the latest information on Canadian charity law you can join our newsletter or follow Mark on Twitter.